On Wednesday, February 12th, 2014 Mathieu Fleury and City staff met with about 25 residents of Lowertown and Sandy Hill to present the proposed solution for re-closing the Chapel/Beausoleil intersection to cars while also fulfilling the Highway Traffic Act’s (HTA) legal requirements to allow for the addition of stop signs on Beausoleil, which will improve the safety for pedestrians crossing that street. The solution involves narrowing the opening from Chapel to Beausoleil so that only bicycles will be able to pass through. A diagram of the proposed solution is shown below. The construction work for this solution, including the installation of the raised median in the Chapel Street opening and painted pedestrian markings, will occur when weather permits. The implementation timeline is anticipated for the end of March 2014, however City of Ottawa staff will review the timelines to explore any possibilities to shorten the implementation of the solution that was presented. City staff have also been asked to review ways to only allow cyclist movement (i.e. 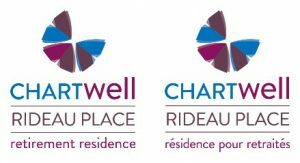 to restrict car movements) at Chapel Street in the interim until construction can take place, while continuing to meet the requirements under the HTA necessary to maintain the stop signs at the Beausoleil pedestrian crossing. This work is ongoing. In the mean time, a work order has been submitted for the installation of signage to restrict vehicular turn movement from Beausoleil Drive onto Chapel Street, and from Chapel Street onto Beausoleil Drive.